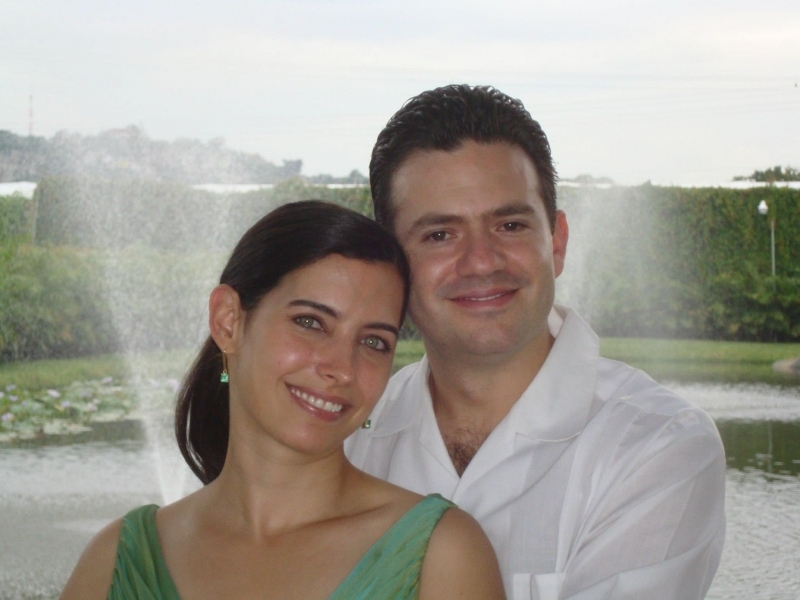 Adoption Profile - Adoption Story - Hopeful adoptive parents, Rocio and Mauricio, wish to adopt a baby. Destiny had our paths cross in 2008. We had a lot of fun dating for 5 years and got married in the summer of 2013. We live in New York, where we have great friends and are very happy. We are very lucky to have found each other and consider ourselves soulmates (we know that sounds cheesy…). Both of us are sensitive, empathetic, caring and hard-working people, who want to have a positive impact on our communities. We have two beautiful rescue cats. We are very close to our families and are blessed to have wonderful friends in New York and Boston, who recently started having children and support us in our journey to adopt a child to love. We live life to the fullest. We enjoy everything from a simple sunset, running in the park, watching a good movie, to traveling the world and meeting people from different cultures. We were both lucky to travel a lot growing up. We also love sports and keep active (we actually met at a gym! ); we jog and play tennis together. We hope to share sports, music, theater and museums with our child. We are both animal lovers and advocates. We have volunteered at an animal shelter since 2015 and also foster sick kittens with the aim of finding them a loving forever home. We live in a very family oriented neighborhood in Manhattan with many families with young children and near friends with kids. We are across the street from a playground and blocks walk away from parks, public libraries and wonderful schools. Rocio is the strongest and kindest person I know. She goes out of her way to help others and make sure people around her are happy. Rocio is a brilliant doctor and loves to keep learning. 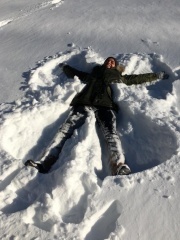 She gets along with everyone, has friends all over the world and has a wicked funny sense of humor! She is always happy, whether volunteering at the animal shelter; at home chilling on a weekend with our cats and watching movies; cooking and enjoying a homemade meal; or travelling and discovering the different corners of the world. Rocio is the sweetest person and will be an amazing, loving mother. Mauricio is a wonderful man, husband and son. He is extremely intelligent and very hard working. He is an example of how dedications and hard work pays off. As a husband he is the best! He is always making sure I am happy. He always knows what to say to comfort me or make me laugh. I know that I can rely on him 100%...he is my rock. In addition to that…he is the complete package: not only caring but he also does house chores! Without me having to ask for it!!!! You name it: laundry, dishes, fixes stuff … he does it all!!! Mauricio comes from a large family and is a very family-oriented person. He has a close relationship with his 5 brother and sisters, and Sunday lunch at his parents are a tradition. Since I have known him, he has always been driven to children. He loves spoiling his nieces and nephews by taking them out to parks, the movies or for a great meal.